To design 8Bit we took a look at some of the most nostalgic memories of our youth and applied them to a keyset. Swords and shields, blocky fonts, two-tone gray and red. We wanted to capture that feeling of blowing on a cartridge, slapping it into a console and hitting power. No responsibility, just one goal, save the day. As the creator of the MiniVan we have chosen to make our kits with the MiniVan at the forefront. Many other sizes are supported, but by basing the base kit off of the MiniVan we are able to offer a much lower price to cover the MiniVan. This keycap set is in the uniform profile, XDA - which is similar to DSA. Molded of PBT plastic with dye sublimated legends. The World 1-1 kit is the beginning. It covers a MiniVan and Roadkit keyboards. It is also the core of the remaining kits and when combined offers support for many more layouts. 100% completion is all about covering a fullsize layout and many of the inbetween layouts. 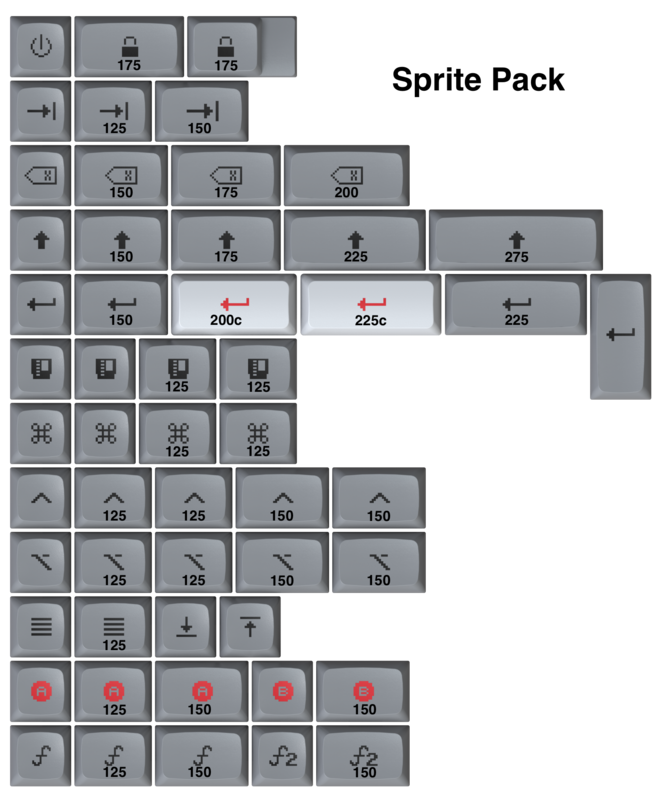 When paired with World 1-1, Fullsize (104), TKL (80%), and 60% are all covered. If you like to find all the secrets and collect all the achievements hidden within a game, then this is the kit for you. Who doesn't like an upgrade? With this kit you get support for Win Keyless (WKL), BananaSplit and Planck. Don't be over encumbered by your non-standard layout, buy the inventory upgrade today! It's dangerous to go alone! Here, take my sword and shield. The equipment pack adds a fresh set of novelties to the mix. Alternate bottom row mods sporting a shield, sword and bow. Replacement split spacebars to power on and reset your adventures. 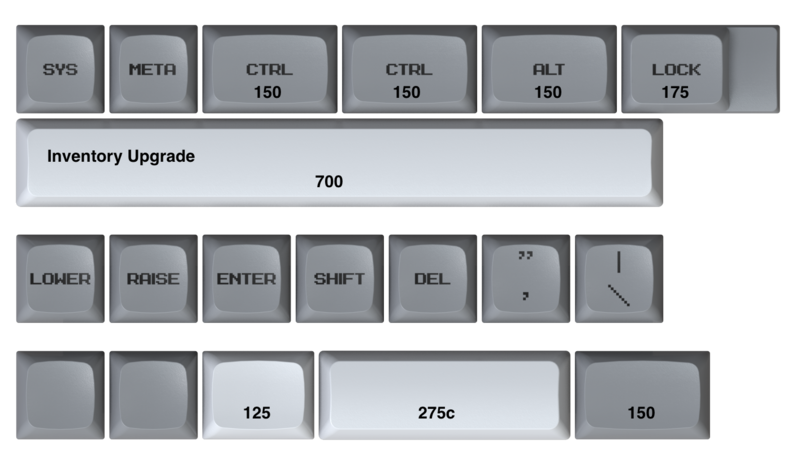 Alternate enter and backspace keys for your standard layouts. What would the classics be without a few sprites? In computer graphics, a sprite is a two-dimensional bitmap that is integrated into a larger scene. The Sprite pack gives you some neat alternatives for you modifiers giving a truly retro look.